How many times has it happened with you that you have been jogging in your neighbourhood and suddenly your steps have come to a halt and your head turns around with a twist? How many times has it happened that you have been left with your jaw dropped and mouth wide agape just at the sight of a beautiful mesmerising home? 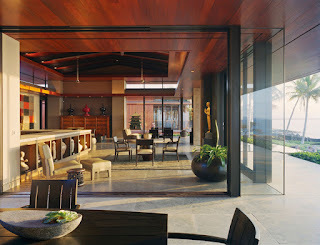 Nowadays, interior designing has caught up like a rage, but exterior designing is not far behind as well. 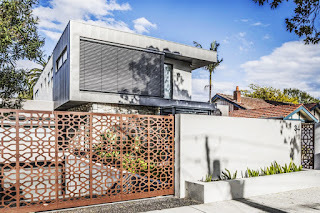 With the tastes of rich people getting modernised every other day, and new concepts of housing design entering into the market, along with newer materials of construction, housing design is itself undergoing a makeover. 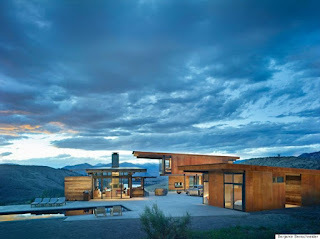 Let us gaze at a few homes across the world that will make us rethink about the design of our house and its looks. What does it feel like to wake up in the morning, sipping from a mug of coffee in hand and watching the hills and mountains at a distance? And just imagine that the wooden walls of your home warm you up along with the glass panes giving an unobstructed view of the landscape! This is exactly the experience you will get while staying in family housing in Studhorse in Winthrop at Washington. A swimming pool right at the front of the home helps you to dive into nature’s bliss and the ample amount of space around the house make your life worth living. 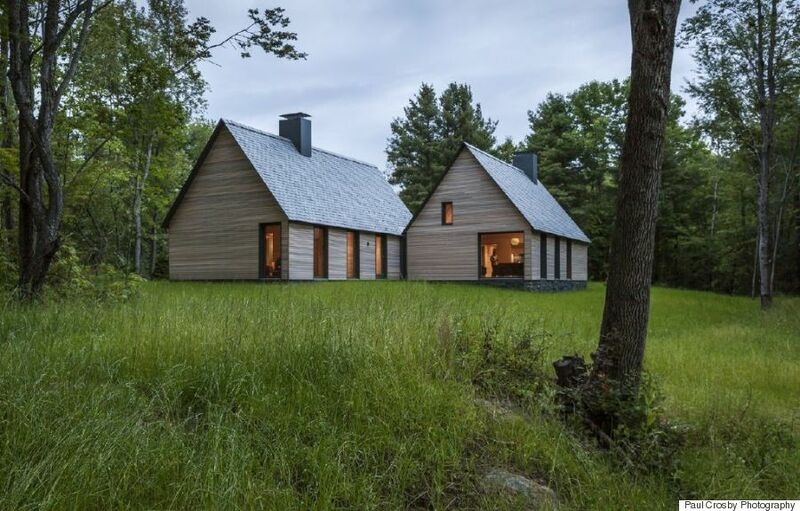 This house design was the winner of One/Two Family Custom Housing in One/Two Family Custom Housing at 2015 Housing Awards awarded by The American Institute of Architects. Let’s climb down the mountains and approach the plains with their lush greenery and beautiful meadows. Just think of walking among the tall grass and your feet immersing in the soil, giving you tickles in the feet. 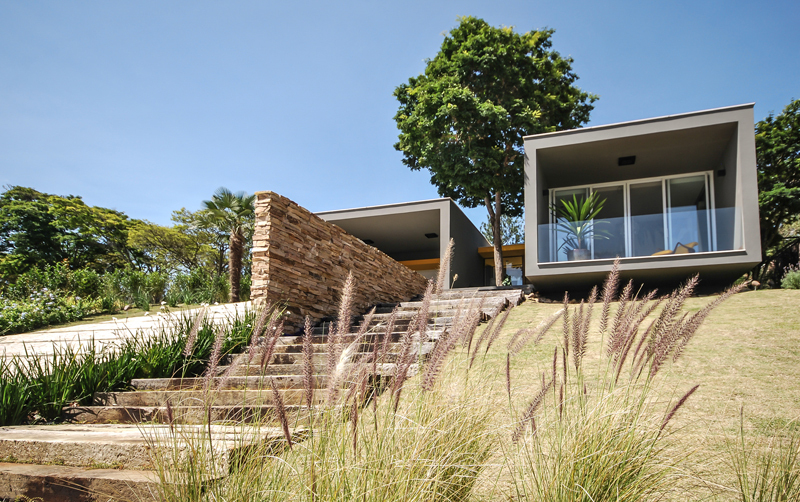 And as you turn around, you find your home – a double storey modern architecture that is made out of wood and is full of glass panes to allow you to enjoy the magnificent landscape. The Bridge House at Kent has luxurious rooms for living, dining and bathing. 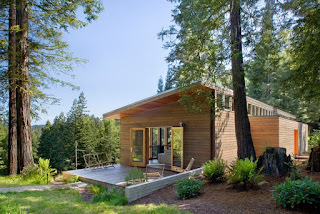 Moreover, the wooden structure lends it a modern artistic touch along with a feeling of immersing into the nature. This building is located in Kerhonkson, in New York, United States of America. 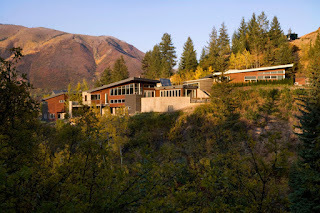 The building is set inside forest and meadows and with an amazing mountain view awaiting you, the design and architecture of the house blends very well with the surroundings. 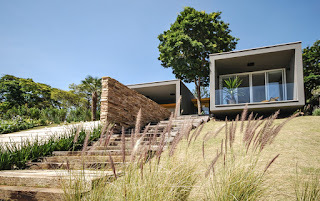 It is set on a mound and has a rustic touch as the exteriors give it an appearance of a just abandoned building. But once you set your foot inside, the interiors are stunning. The house gives a feeling of being in cottage and the view of the pool from the living space is breathtaking. The wooden architecture along with the lush green surroundings take you directly in the cradle of nature. 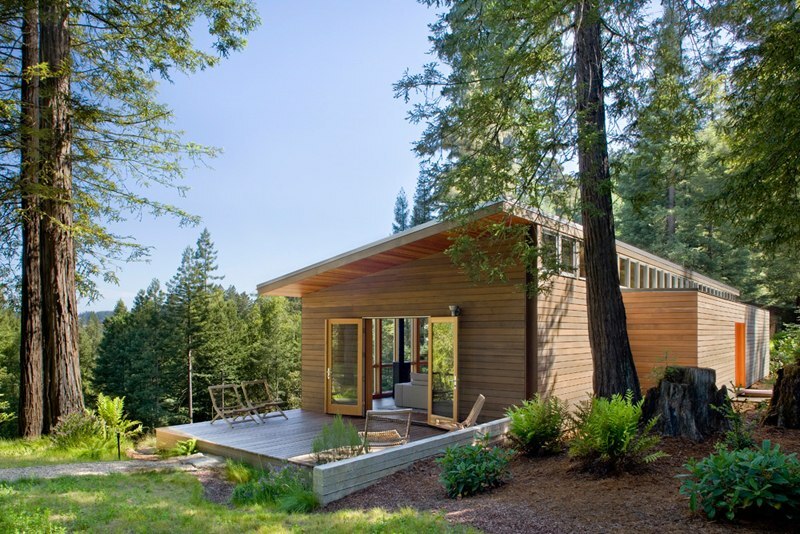 Turnbull Griffin Haesloop Architects have designed the Sebastopol Residence in California. This home that was completed in 2008 is spread over 1,700 square foot. The entire building is covered in cedar wood. You can imagine how warm and cozy it would be inside the wooden chambers. 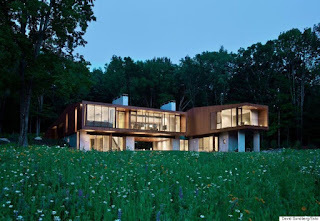 The country house offers you an immersive view of nature at its best and the modular structures of the house flanked by tall trees give the house an appearance that is matchless. When it comes to the interiors, you will find bookshelves, king-sized beds on the floor, sofa sets and lighting arrangements and all other astonishing features inside the same module. Snuggled inside the forests, stand two cottages that look like belonging from the times of Snow White. In Marlboro at Vermont, you will get to see such buildings made of wood which look as traditional as a home can be and are actually as modern as they can be. The sloping roofs ensure that rainwater or snow doesn’t stay on the rooftop and the wooden walls ensure enough warmth inside the building. Moreover, with a chimney protruding from the roof and wide windows reaching up to the top of wall, these houses look like oasis in a desert. It is time to shift from the usual one family home that we have to multi-family living areas. The Bayview Hill Gardens at San Francisco in California has an amazing decor – be it outside or inside. 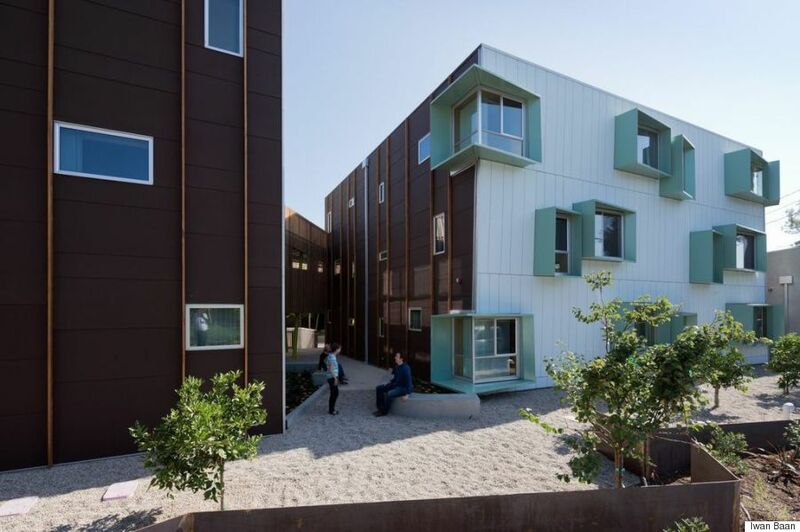 The buildings just look like long cartons arranged together and with the combination of orange, wooden and white colour, the apartments look stunning. Moreover, the space outside for people to sit, network and play is startling too. However, one may be put off by the absence of verandas in the apartments. Otherwise, the neighbourhood of each flat and the facilities outside along with the architecture is pretty pleasing to the eyes. 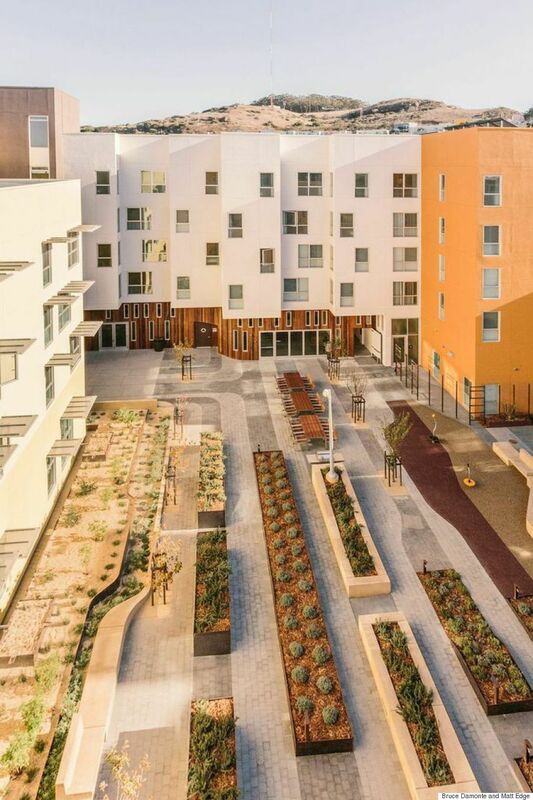 California seems to be the home of spectacular multifamily apartments. 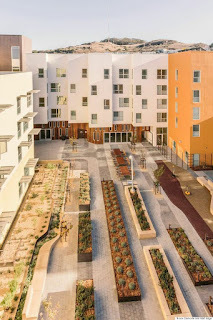 The Broadway affordable housing is another amazing example of beautiful architecture and design. The homes look like cubes placed on the earth, which give the apartments an appearance of uniformity, elegance and simplicity. There is enough area for people to peep outside to have a look at world. The balcony lovers may still be a little disappointed. 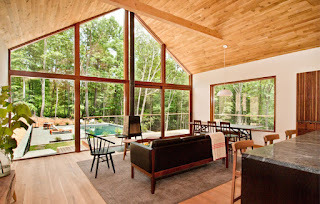 But the provision of large windows and modular design may compensate for that. Let’s come out of California. Let’s land at Bali. The Olson Kundig architects have designed this housing facility by being inspired by traditional architecture and temple designs. 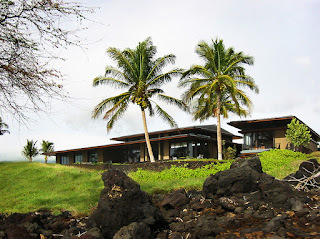 The tropical modern house is resting on a promontory. The interiors, decor and furnishings are all done in traditional Indonesian format. Australia beckons us with its Hampton Residence in Melbourne in Australia. 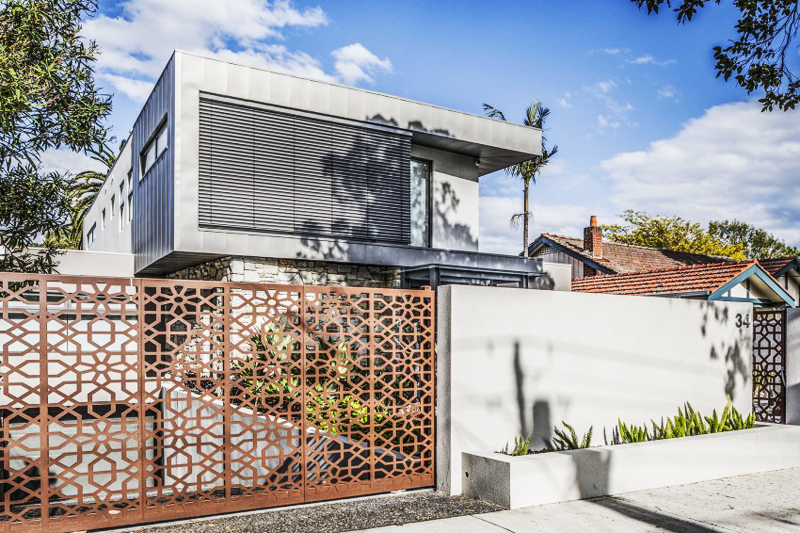 Finnis Architects have designed this stylish residential project with an open plan living. The entertainment zones along with private family spaces make this three bedroom space an ideal place to live in. 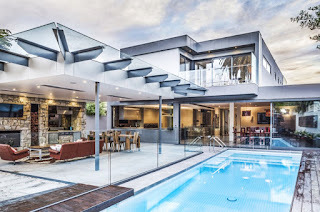 The swimming pool along with the cool interiors makes the home look quite futuristic and is a perfect place to spend vacations. Back to the mountains, friends! 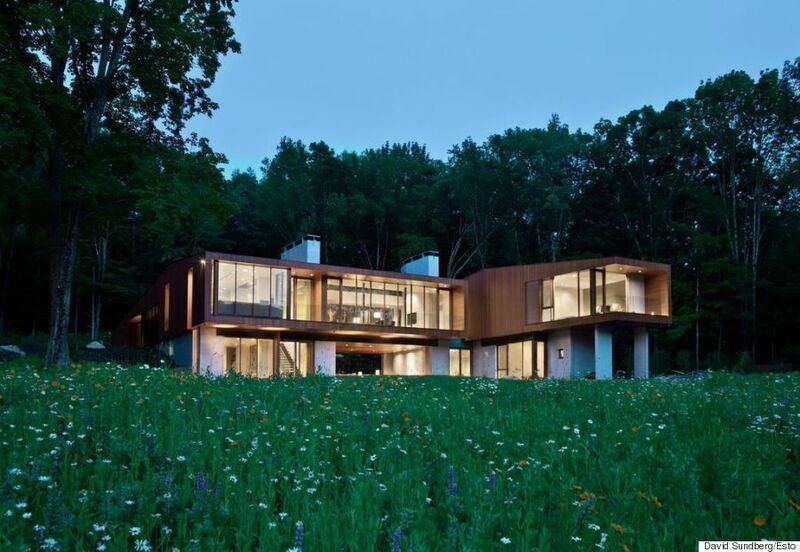 Scott Lindenau and his team at Studio B Architects have designed the Edge House, which is a unique U-form style and is spread over 10,000 square foot. If you ever step inside, you will find private entertainment zones, swimming pools, public zones and a service wing too. Wooden ceiling and wooden floor panels and with white-coloured walls create a wide living space. You have a bridge like stairway to connect the public wing with the private wings and this home provides you with 270 degree view. 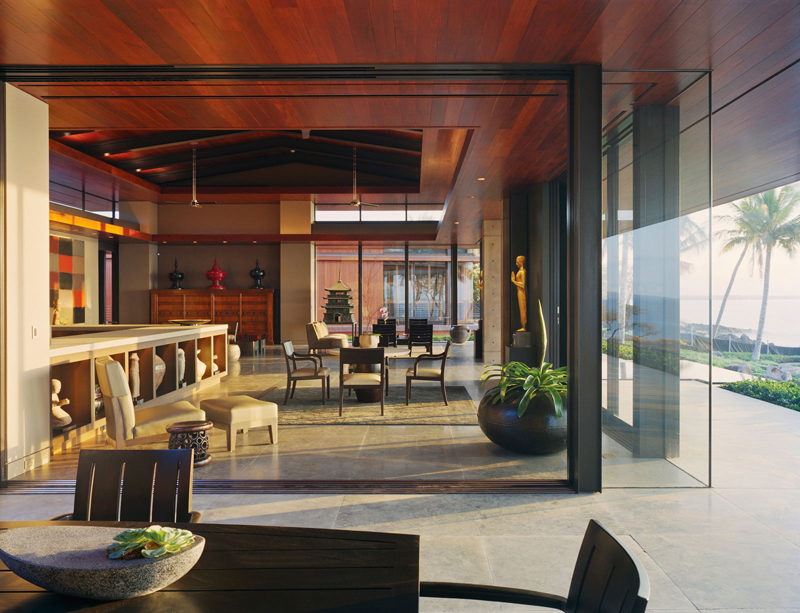 Now tell us, how good do you feel to see the design of your home? If you don’t, then we have shown you the examples to follow.